The title treatment for The Stand mini-series from 1994. 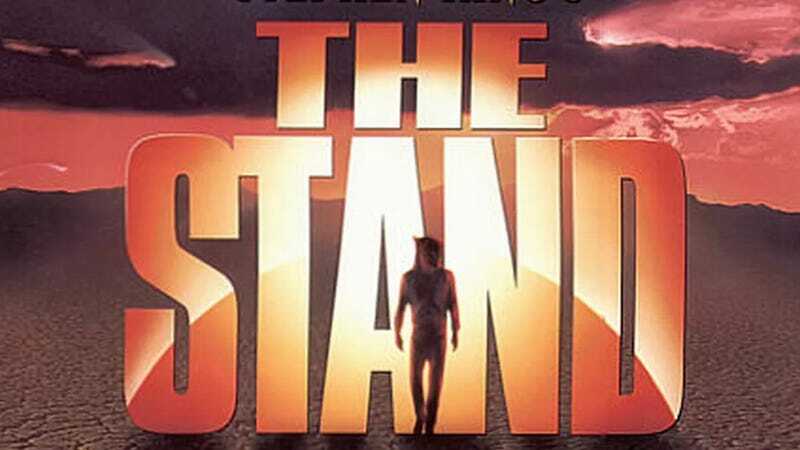 It’s been 25 years since Stephen King’s 1978 novel The Stand was adapted into a live-action format. Since then Hollywood has continually been trying to do it again. Now, it’s finally happening. The CBS All Access streaming service has ordered the epic story of good and evil as a 10-episode limited series. Josh Boone and Ben Cavell will write the series and executive produce, with Boone (The Fault in Our Stars, The New Mutants) directing the episodes. It’s the culmination not just of five years of work trying to bring The Stand to the big screen for Boone (he first signed on to the project in 2014) but really, a lifetime of passion. He first read the book when he was 12, his Baptist parents burned it, he wrote to King about the incident, and King personally sent him more books. The Stand tells a huge story starting with a disease nicknamed Captain Trips wiping out most of humanity. It then follows the survivors who are forced to band together to fight against (or for) an ancient evil in a battle to save the world. It’s a story that, obviously, is way too big for one movie, which is why it was first adapted into a six-hour miniseries. At one point Boone envisioned it as four movies, and later, as one movie as a conclusion to a longer television show. It’s unclear if this TV show is the entire story, just part of it, or a set up to a movie. All we know is it’s 10 episodes. Long-form TV feels like just the right medium for The Stand, though, and Boone seems like the right person for the job. If he does the material even an iota of justice (something the 1994 series struggled to do), it’ll be a special series. Warner Bros. wants Ben Affleck to direct The Stand, but can he control the crazy?